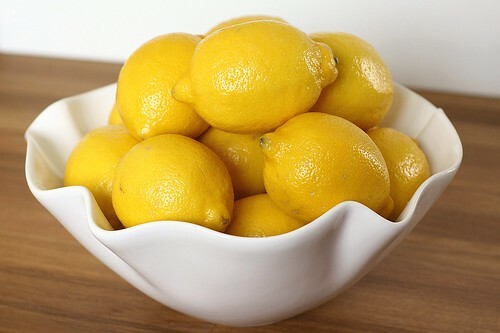 That giant bowl of lemons? Major impulse purchase. Shane rarely has to worry about me coming home with expensive shoes or bags, but there’s no telling what might happen when I’m unleashed in the grocery store, or at the farmer’s market. I don’t know why I thought I needed so many lemons, but once I got them home I was determined not to let a single one go to waste. I was finally inspired by a recipe my friend Leslie shared last week for lemon bars. Not just any old lemon bars, but the most vibrantly colored lemon bars I’ve ever seen. Once I read the recipe it became clear why the bars were so bright – there are 7 egg yolks plus 2 whole eggs in the filling! This recipe differs from other lemon bars I’ve tried in that the filling is cooked on the stove before it is poured onto the crust and baked. This cuts down on the baking time and also ensures that the crust stays crisp. The whole process is really easy, I’d note just one thing – the recipe calls for cooking the filling until it reaches 170 F, but mine never got above 162 or 163 F so I just moved on and it all worked out. To make the crust: Spray a 9-inch square baking pan with cooking spray. Line the pan with aluminum foil, leaving an overhang on opposite sides to lift the bars out after they’ve baked. Spray the aluminum foil with cooking spray. Add the flour, confectioners’ sugar and salt to the bowl of your food processor. Pulse a few times to combine. Add the butter and process to blend, about 8-10 seconds. Pulse just a few more times, until the mixture is pale yellow and resembles coarse meal. Dump the mixture into the prepared baking pan and use the tips of your fingers to press it into an even layer over the bottom of the pan. Refrigerate the crust for 30 minutes. While the crust is chilling, preheat the oven to 350 F. Bake the crust for about 20 minutes, or until golden brown. 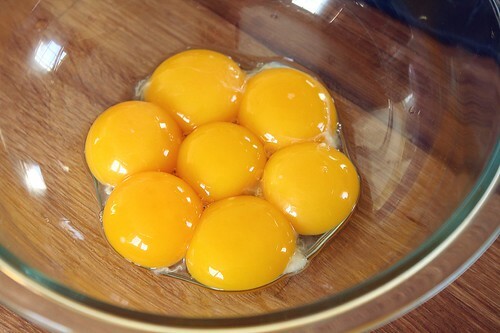 While the crust bakes, make the filling: In a medium bowl, whisk the egg yolks and eggs together until combined. 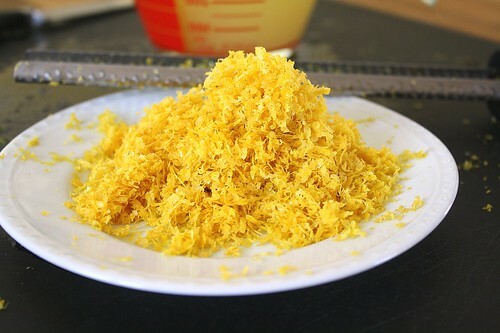 Combine the sugar and lemon zest in a small bowl and use your fingertips to rub the zest into the sugar until the sugar is moist and fragrant. Add the sugar to the egg mixture and whisk to combine. Finally, add the lemon juice and salt and whisk until all ingredients are blended. Transfer the filling to a medium saucepan and add the butter. Stirring continuously, cook over medium-low heat until the curd thickens slightly and registers 170 F on an instant-read thermometer. Pour the curd through a strainer into a medium heatproof bowl. Add the heavy cream and stir to combine. Pour the filling over the warm crust (this is important – you don’t want to let the crust cool before adding the filling). Bake for 10-15 minutes, or until the filling is shiny and the center jiggles just slightly when shaken. Remove the pan to a wire rack and cool completely. Use the foil to lift the bars out of the pan and cut into squares. Dust with confectioners’ sugar if desired. 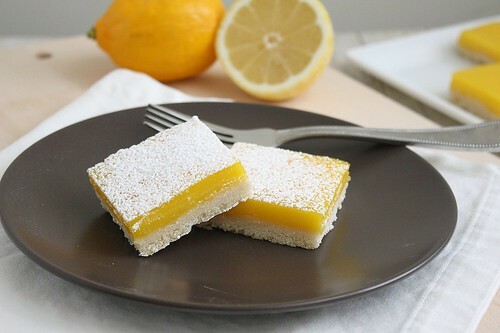 33 Responses to "Lemon Bars"
Wow really beautiful, like the deep yellow lemon curd….delicious! If those lemon bars taste even half as good as they look, I’d stop searching for another recipe now. 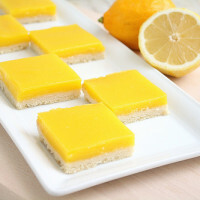 Those are the most beautiful lemon bars I’ve ever seen! These look amazing! I’ve made some from a Martha Stewart recipe and they’re much paler and as the filling isn’t cooked first, the base does go a little bit soggy. They tasted lovely, but these look much better! Wow… I’ve never seen a vibrant yellow lemon bar before! 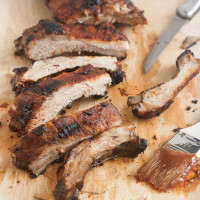 I just love this recipe, I will have to try it soon! Gorgeous! The color of those lemons and the eggs look so vibrant. Beautiful job. These look fantastic! I’m glad you made them (and liked them). I can’t wait to hear the results of the freezing experiment. These bars really look fantastic. They are definitely bright yellow and “springy!” Does cooking the lemon mixture help avoid that “foamy” texture that I always get on the top of my bars? @Tessa – I’m honestly not sure what causes the “foam” on top of lemon bars sometimes, but it’s happened to me too so I know what you’re talking about. That definitely didn’t happen with this recipe though luckily 🙂 I know a few friends who’ve also made this recipe and I don’t think any of them ran into the “foam” problem either so it seems likely that cooking the curd on the stove probably does help with the issue. They look amazing and I’d be looking forward to see the recipes comparison if you’d ever decide to do it! (Unless Bridget does). I love Martha’s crust and Ina’s custard. 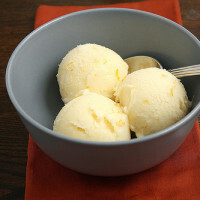 But I think Ina’s custard recipe is similar to this one. Great job! 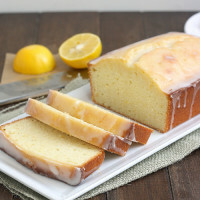 I, too, am firmly in the lemon lovers camp and I would really love to have a plate of these beauties in front of me right now! Those look so perfect! I love how bright they are. Lemon bars are one of my favorite treats. 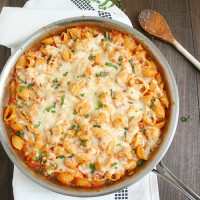 I am always looking for a new recipe to try and this one looks excellent. Beautiful photos too. They make me want to reach out and grab one. I have been craving lemon bars forever. Yours look perfect and I love your photos. I have to remember if I ever have a lot of eggs that are expiring that lemon bars would be the perfect recipe to use up all those eggs! SOLD! Marking this one now as one can never have too many lemon desserts…I think that is written somewhere important like maybe the Constitution or something. lol Beautiful photos. Those bars look so pretty! Great job freezing the juice and zest for later, what an excellent idea. Sometimes I think it would be much better our grocery budget if I just sent Josh with a list – I’m way too inclined towards impulse purchase and good deals. Ah, research purposes…my thoughts exactly. The color is insane. I want to make lemon bars for my baby sister’s wedding shower…have to add this recipe to my growing list for the dessert bar. Tracey, everything you bake looks so gorgeous! And I don’t doubt that it’s delicious too. Lemon bars are one of those things I’ve eaten a lot of but never made myself. My word; that’s are a beautiful yellow – So vibrant! I’ve never been able to successfully make lemon bars, I’m afraid. Your lemon bars are an inspiration. Thanks for sharing! Those bars look amazing! And the color is incredible. Love the photos of the lemons and the yolks. The yolks look like a flower and made me smile. Gorgeous lemon bars…will try for sure ! Congrats on top 9 ! These are gorgeous! I love lemon bars so much. I’ve made several different recipes, but I’ve never used a lemon curd. Great idea! Yowza! 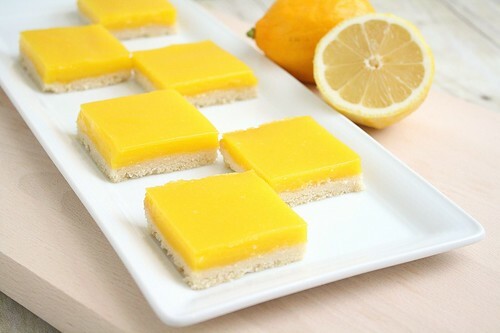 What amazing color in those lemon bars. Truly stunning. The pic with all of the eggs/yolks is neat, too. Good stuff, Tracey! O.K., its decided. Your lemon bars look divine. I have been skipping home and around my house with my NEW 50MM macro lens. 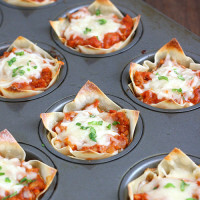 I’m going to make these tomorrow and play with my new lens. I REALLY hope I bought the right lens. I really want my photos to get good enough for FoodGawker and Tastespotting. Did it! I made your lemon bars today. I posted the article this afternoon and referenced back to your blog if you want to check it out. @snippets of thyme – I’m glad you enjoyed them! I own a 50mm lens but I dropped it a few weeks ago and broke it unfortunately so everything on the blog recently was shot with the kit lens (18-55mm). Tracey, thank you So So So much for helping me out. I am So So So sorry that your 50mm lens broke. I am so scared to take the lens off. Thank you for your kind words. I liked my lemon bar photos (especially since I figured out white balance…I think) but I do think they are still grainy. I think I have the F stop too low – 2.8. I’ll try raising it. Thank you again. Im currently indulging in a bar (from this amazing recipe) with my tea. I have to say….. I’ve never been more pleased by a lemon bar than these right here. I’ve never made ANY kind of curd dessert, and it turned out to be fantastic! Not a single flaw. Anyway, I can’t thank you enough for posting the recipe for this delicious, and equally beautiful dessert. 5 Stars! Your pictures are beautiful. I discovered that the addition of a cream cheese layer cuts the tartness of lemon bars while adding some creamy decadence. Stop by if you are interested! 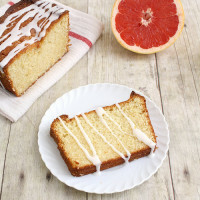 Half way through the process, I found out that I don’t have enough lemons, so I added two red oranges and it was still great! I also didn’t have heavy cream, so I used sour cream instead. Yum. 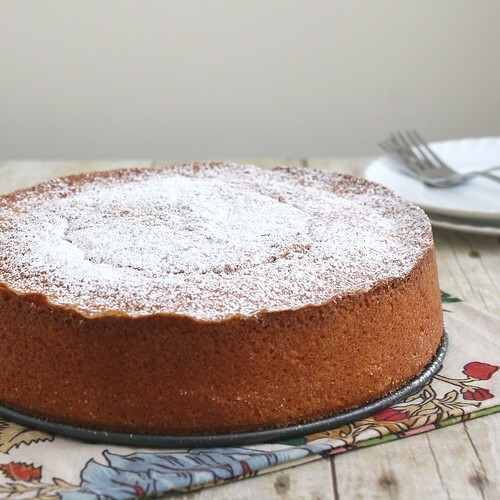 But I have a question – how to you bake the curd? Mine didn’t stay pretty and colorful as yours did. It turned brownish instead, and I’m not sure why. Do you put foil over it when baking? @Flaf – Thanks for your comment, so glad you and your grandmother enjoyed the bars! 🙂 I didn’t cover mine with foil when they were baking. I’m not sure why yours turned brown, honestly – maybe it had something to do with the red oranges you used? 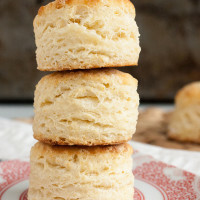 Just made these today and they were FANTASTIC! My only complaint is that they will be gone by tomorrow (but that is my husband’s fault, not yours.) 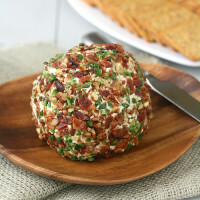 So happy that I found your blog and can’t wait to try another recipe!